I read a book once written by an angry radio talk show host/therapist in which she railed against the common Disney movie "Prince Charming" saving the poor young girl from her horrid life. Her point was that women can't expect a man to fix their lives and save them from themselves. I thought she was a little overboard, worrying about something she shouldn't. What kind of skeptic hates Cinderella? A few years later- and now, of course, my daughter's favorite movie is Cinderella. Or Snow White. Either way, same basic story line. Poor young woman with a life that seriously blows. Luckily, she is pretty! And low and behold, along comes Prince Charming, maybe with a little help from some short men or a fairy godmother, and BAM- life is awesome again! She really is a princess and everything does work out! All she had to do was be helpless for long enough. Whew! I have also started to notice though that four year old girls are not the only ones who love the idea of the Cinderella/Prince Charming fantasy. Let's be real- lots of grown up adult women (myself included) would just like life to be easy breezy. Where is Prince Charming anyway? Luckily (or sadly) when we get pregnant, the fantasy of being saved from disaster seems to pop up from our childhood once again, and many full grown, intelligent, and professional women are looking for somebody to make this horrid situation all right for them. We have become Cinderella, the damsel in distress, the sick/helpless pregnant woman and we want somebody to take care of us gosh dang it! And entering from stage left....Prince Charming! 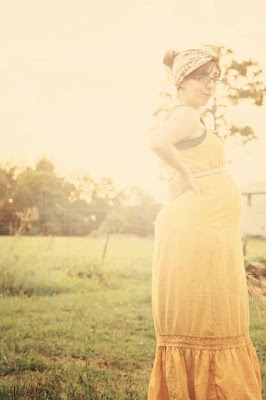 Only when we are grown and pregnant he takes the form of the obstetric surgeon, the savior midwife, the comforting doula, the knowledgeable childbirth teacher, the husband coach or the iron-clad birth plan. I have bad news for everybody though. You are not Cinderella and nobody is your Prince Charming. I know- take a minute to process that. Labor and birth are unique situations in life during which nobody can do your work for you. You are not moving a piano. You can't have somebody carry one end for you, and you can't even hire a moving company to do it for you. You and only you can labor and birth your baby. Sure, other people can HELP- but they can't save you from your birth. You must experience it one way or another. You could elect to have surgery and not experience labor, that in itself will have it's own consequences and prep and recovery. You could be numb with an epidural and miss some of the sensations of birth, but you might be surprised by some of the possible side effects of that choice too. You could hire a fantastic home birth midwife. And still, she can not feel your labor for you. She won't experience even a single contraction and she can not guarantee a perfect experience. A doula can be helpful, but she can not legally be your voice, make your choices, or make labor disappear. Comfort is all she can provide. Same for your husband. I have watched my very horrified husband catch his own child- he was scared, but he didn't feel a thing in his nether regions. And the birth plan- many a quiet, polite, good patient has been horrified to find that just because she wrote it down, did not mean that anybody actually read it or respected it. Why am I writing about this? Too many of us, hospital and home birthers alike are trying to get somebody to save us from our labor and our birth. We think if we have a baby in the best hospital with a great doctor then everything will be all right. Everything MIGHT be fine. We might get the perfect epidural at the perfect time and have a nice healthy baby to boot. The truth is no matter what you choose you and only you will give birth. Others can comfort, sedate, numb, massage, love and support you, but when it comes down to it, YOU must give birth. My message- embrace it! There is nothing wrong with not being saved from your birth. The empowerment does not come when somebody else does it for you. It simply does not. There is joy and confidence, and yes, maybe a little (or a lot) of pain, when you do it yourself. But it is YOUR joy and YOUR power and YOUR pain. That is how it should be. Maybe you are thinking, "Well, I want somebody to take care of me every now and again." Fine. Make your husband mop the floor for once. Get your nails done. Take a nap. Lay out in the sun. But don't co-opt out your birth experience in the hopes that somebody else can make it all right. Cinderella is for kids. We are no longer children. We are powerful women and mothers. Let's own our births. I can see that you're trying to be fair, but I'm still getting a very strong anti-intervention vibe from this post. What if owning my birth and feeling the most in control and comfortable with my choices involves a planned c-section or an epidural? Every choice has a consequence; "owning" your birth doesn't mean you can control the outcome or how you'll feel about a birth that goes differently than planned, but it DOES mean you can make any choice you want to about what you want your birth to be. I definitely enjoyed reading this. I agree with it. I am scared to share it, because I don't want people in my life to feel I am judging them for the births they've already had. It's a tough line to walk. But I really enjoyed this. And I agree. So there's that. Thank you so much ladies. If there is a vibe that seems anti- intervention it is because I am very pro natural birth and anti- unnecessary intervention. That is why it is a natural birth blog. Thanks for reading! Very true! Question- Do you have any quick links to articles I can send my husband? I am thinking I might want to home birth the next baby (whenever that might be)but he is completely against it. He is kind of an internet junkie and is kind of a health nut so I'm hoping it will be an easy sell, I just need to send him some links but need help. thanks! And it's fine to be anti-intervention (and I did say "anti-intervention," not "anti-UNNECESSARY intervention," which is IMO different) and pro-natural, but i'm uncomfortable with the idea that to be in charge of your birth is to HAVE a natural birth only, or to eschew interventions. I think women deserve choices, and I hate when they're told only one way is the right way-- that's why information about natural birth is so important, because many women don't know about that realm of choices and think interventions are always necessary (they aren't) or required (they aren't). And truthfully, a woman who chooses a more natural option probably already knows the restrictions that interventions can place on their options, so she may be more 'liberated," in a sense, than a woman who doesn't have the information to make that choice. But I think having choices also means having the right and the ability to make ANY of those choices, and I don't think it's fair to all women who birth babies to say that you're not in control, and therefore helpless, if you choose interventions. After all, making a choice is exerting control. I say this to be fair and empowering to ALL women, not just the ones who choose what you would choose for yourself. I agree with this completely. Even as a doula I tell clients that my main goal is to convince them that they don't need me- that she can birth her baby without my help. I'll be there to make suggestions, and help in any way that I can, but the truth is that she has to do it on her own and find the best way. I was fortunate enough to have had this kind of experience with my first birth, almost to the the end, and I'm excited to take it all the way with this one. No, I'm not doing a UC, but I am confident that my body knows how to have a baby without anyone telling me what to do. Julie Anita, the problem is that using interventions, even if it is completely what the mother WANTS, is always giving up some power and control. With epidurals you are unable to get out of the bed, you have to be hooked up to an IV, and be monitored more closely. You cannot birth in any position other than on your back in stirrups, and you don't get the option to push when you feel that your body is telling you to push... you have to push when the monitor says you're having a contraction since you cannot feel them. Pitocin also has you hooked up to an IV and blood pressure cuff so you give up some control since you cannot move as freely while hooked up to those things. Yes a woman can choose to use those options and I think she has the right to, but you cannot say that she is in full control with those interventions. She may think she won't mind birthing on her back, so she may think it is her choice, but if she is uncomfortable once she begins the pushing process she cannot change her mind last minute if she has an epidural in (I'm speaking from personal experience here) she cannot stop and ask to squat or stand, etc. Therefore her control is taken away from her because of the intervention. Juli-- that's your opinion. I would GLADLY give up my ability to walk around the room if it frees me from feeling terrified because my body is a prison of pain, which I'm fairly confident, given how well I know myself, is what would happen once the sensations get amped up above a certain level. (And no, I don't think the expectation that I would have to find a way to reach deep inside and find some primal part of myself and just deal with it is fair, either.) I have choices, and then involve "pain relief or no pain relief," "doctor or midwife or my husband or no one," "home or hospital or outside in a field," and I get to choose which ones I want because for me, the freedom to MAKE those choices gives me control. If I choose "epidural, external monitor and bed," and I feel comfortable with that choice, and it is MINE, then it is valid and no less than anyone else's. I'm blogging about this, if you're interested to read the long (long, long) version. Julie Anita I never said a woman doesn't have a choice, she does and I do think it's great that they do. You sound exactly like I did when I had my first, but by choosing to get an epidural you are trading pain relief for some control. Yes you think now that you are okay laying still in a bed with a catheter and pushing on your back while a nurse tells you to push while she counts to 10 (you having no idea how hard or soft to push) ... I thought so too. But like I said if you get to that point and change your mind on what you want you don't have control, you cannot change your mind at that point. There's also the fact that when you get an epidural you do not have control of your body, you cannot move your legs... and whether you're okay with that or not you still don't have control of your body. You also won't have control over how your body reacts to the epidural, if it will slow the labor, if it will make you shake all over (like it did with me), if it will make you break out in a rash that needs to be treated by allergy medications during labor. I promise, I am not anti epidural and I do understand why women use them, but if you have one you do give up some control. I will say that my labor and birth without the epidural was honestly less painful than the one I had an epidural for. Not even counting the recovery which was horrible after the epidural birth. However a woman births, the idea of control is an illusion. Nature doesn't care about you. You are not in charge. Women should and do get to make a lot of choices about their birth, including interventions, that they feel will help them to be more successful in the process, but even unassisted at home, a woman is never "controlling" her birth. That's not how it works. For me, Juli, pain relief might BE control. I may not have said that very clearly in my previous comments. But control is not all about movement or less things tied to you. the kind of control that will, I feel, be pivotal for me in my birth experience, is the mental and emotional control that I will feel. I am a person who is very susceptible to feeling terrified and lost, especially if I am hurting (and on top of that, I have a pretty intense vasovagal reaction to pain which turns into spiked temperature, blood pressure drop, near loss of consciousness... just ask my poor husband). For me, the ability to choose pain relief IS the control that I want. I don't really care if I'm stuck in a bed. Yes, I say this now, and I reserve the right to change my mind afterwards, but I know myself well enough to feel that this is the best choice I can make for myself. If I later wish I'd done things differently, water under the bridge, I'm planning to have more kids and I can do it differently then. The concept of "you get an epidural and lose choices later" as a standalone example of why interventions rob you of choices doesn't make much sense to me. If I choose a home birth and halfway through I want an epidural desperately, I don't have that choice anymore, either. But if I'm informed in either scenario and I know the consequences of both choices and I accept them, it's all I can do. I don't like when one type of birth choice is posited as a better option than another. I don't think anyone but myself and my husband knows what's best for me, so I don't like when someone professes one choice over another as "more control" or "more freeing" or anything like that. Whatever feels best to me IS what's best for me, and that's it, and everyone else's experiences and opinions are just white noise in the background. And we can't keep telling women they have choices if we season some of those choices with judgments based on our own biases. Everyone gets to pick for themselves. I agree- to labor well you must lose control. Funny thread though- I don't think the word control was even in the entire post. I think issues of choice and control are strongly interrelated. It's not unusual for a blog post to spur further discussion that goes even deeper. I will say that writing my story of loss made me more sensitive to the perspectives mamas are coming from when they make their birth choices. So many have lost children or had previous trauma or abuse. I think it is more difficult to for some to choose a natural birth or homebirth than some people might think. My wish, however, is for the birth process, women's bodies and babies to be trusted and respected wherever birth happens. I wish for empowered and informed births for all women, whatever their choices. Unfortunately, we don't (in the US) live in a climate or a society that support open, respectful dialogue, and the Prince Charming concept pops up all over the place. I chose to birth at home because I didn't want to spend energy getting my way since I didn't want most of what hospitals have to offer. I didn't want to "make sure everyone understood" why I wanted the lights off or hushed voices (or no talking), why I didn't want to hear the word pain or numbers about dilation. I didn't want an IV, wanted to eat and drink whenever. The list of things was just too great for me when all I wanted to do was what I ended up doing -- letting go and releasing into the process. Support teams are wonderful, but I agree that mama and baby are the ones doing the birthing and need to be heard more than saved. I love this. I had to learn this very important lesson. I somehow thought the choices I had made would give me the birth I want. 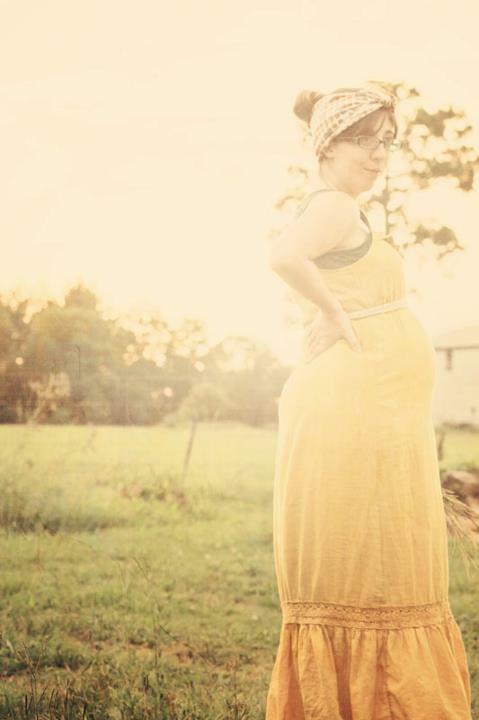 My homebirth wasn't and my midwife became my doula as my baby was caught by a hostile doctor. Thankfully I did end up learning this lesson, both accepting responsibility for birthing my own child, and letting go of control. I had a homebirth that culminated in an unexpected UC! I birthed that baby on my own and it changed me. Yes I want my midwife there next time, but *I* will be delivering my baby! Scheduling an unnecessary c-section means signing on for extra pain over and above childbirth, but spreading it out over weeks instead of hours. I like the point of this essay, which is essentially that when we stop looking for a way out (there really is none), we start feeling better about owning the experience. Never assume the birth you are about to experience is less important because you believe you will have others--there are no guarantees, and each birth matters profoundly, to the baby as well as the mother. "If I choose a home birth and halfway through I want an epidural desperately, I don't have that choice anymore, either. " Sure you do. The most common reason for home birth transfer isn't for emergencies, but for longer labors and the requests for pain relief. For many home birthing women, narcotic pain relief or an epidural is just a car ride away. Home birth doesn't mean you are automatically giving up every option for birth intervention.